Irina Strelyuk is a board-certified naturopathic doctor in both California and Washington State. She received her undergraduate degree in Psychology at the University of Washington and earned her Doctorate in Naturopathic Medicine from Bastyr University. 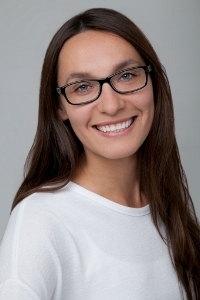 Dr. Strelyuk completed her residency with Dr. Dietrich Klinghardt, MD, PhD at Sophia Health Institute in Woodinville, Washington with a focus on treating chronic infections and environmental toxicity. Furthermore, she has post-doctorate training in Autonomic Response Testing (ART) and is certified in ART through the Klinghardt Academy, Biotherapeutic Drainage, European Biological Medicine, Intravenous (IV) Therapy and specialty therapeutic injection techniques including Neural Therapy. As a holistic practitioner, Dr. Strelyuk uses western and eastern medicine, bio-energy and naturopathic medical systems to uncover the root cause of her patient's health concerns and to create individualized treatment plans that address the whole person. She practices medicine from the viewpoint that disease surfaces from dysfunction of the physical, energetic, mental, intuitive and/or spiritual aspects of the body and looks to restore health and wellbeing by establishing balance and harmony in each of these levels. Since chronic conditions do not appear overnight, Dr. Strelyuk views healing as a journey and believes illness can serve as a catalyst for transformation and personal growth.